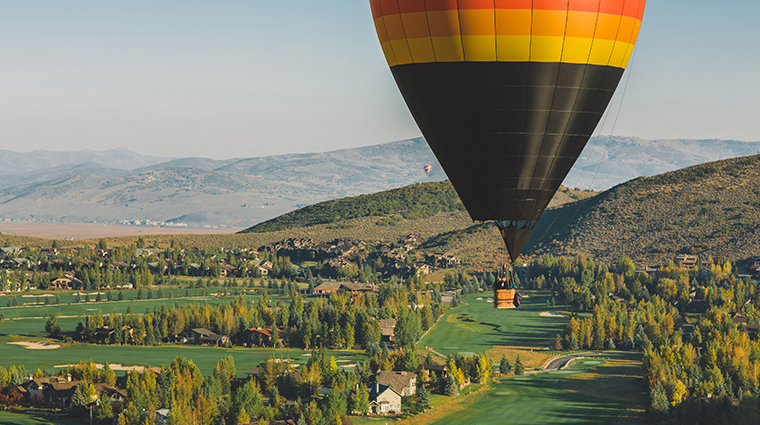 Picture a four-season resort area with skiing, snowboarding, golf, tennis, water sports and mountain biking, and add an element of Wild West meets Hollywood glamour, and you’ve got Park City. The obvious attraction to Park City is the vast range of outdoor names in terms of ski resorts, such as the Canyons, Deer Valley and Brighton. Amassing 1,700 skiable acres, Deer Valley is an exclusive ski resort (the number of lift tickets sold daily is limited, and services include the help of attendants who effortlessly stage your equipment) with eight high-speed quads, eight triple and two double chairlifts, in addition to a school, restaurants, nursery, a lounge and a lodge. Share in a bit of Olympic Glory by visiting the Utah Winter Sports Park. Built in 2002 for the Olympic Winter Games—at a price of $25 million—you can now partake in recreational ski jumping or catch a bobsled or skeleton ride on the track. But perhaps what best rounds out this Utah destination is its role as the host of the Sundance Film Festival each winter. Sundance resort was purchased by Robert Redford in 1968 and is named after the role Redford played in the film Butch Cassidy and the Sundance Kid. During the festival, don’t be surprised if you brush past the likes of Kate Hudson or Matt Damon as they stomp through the snow to one of their film premieres. Filled with after-parties and plenty of Hollywood snow bunny fashion, January is the month to see and be seen in this town.